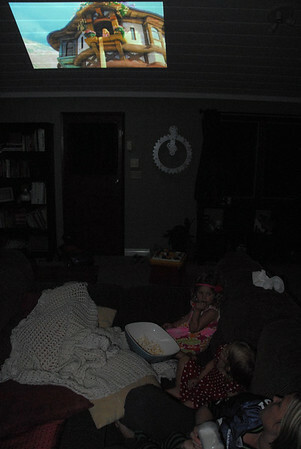 One of the family activities I really enjoy is movies on the ceiling. Jeremy brings a projector home from work, and we push the couches together to make a bed for us all to lay on to watch the movie. This night it was "Tangled."